That heart is called Roger Allam. Allam’s always been a first-rate actor, but up to now he’s been a fairly butch sort of bloke. Here, he swoops to stardom on the wings of orchidaceous camp. 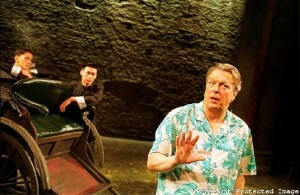 The great Roger Allam is in wonderful form as Captain Terri, corpulent, coquettish, and with a face like a corrupt cherub. He delivers his drop-dead queeny one-liners with wicked relish, squeezes himself into a succession of preposterous frocks with endearing aplomb, and offers one of the best Noel Coward impersonations I’ve ever heard. 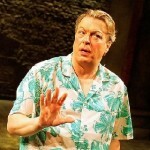 Look out for the great Roger Allam as Acting Captain Terri Dennis, a soldier in skirts who offers outrageous queeny one-liners and the best Noel Coward impersonation I have ever seen. Comic heaven. Allam’s Terri, in “full slap”, is immensely likeable, a leader who knows how to support his troupe. 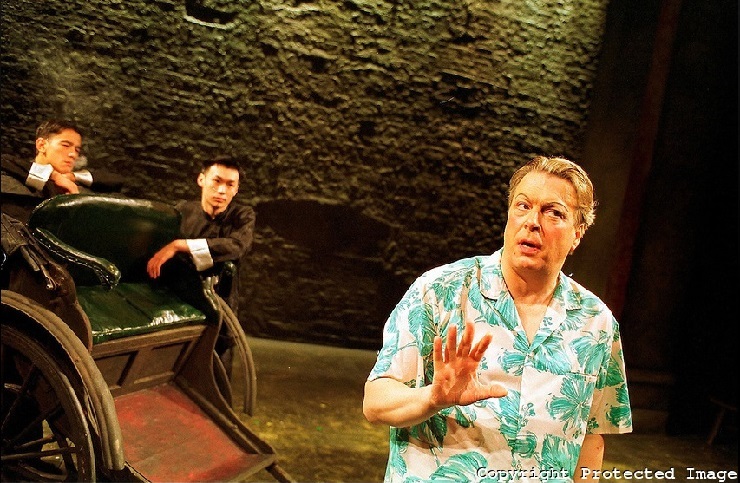 it is Roger Allam’s larger-than-life yet absolutely truthful performance of Acting Captain Terri Dennis, the grande dame of the entertainment corps, that brings it to soaring life. Allam (…) is one of our finest actors. He proves it yet again by anchoring the production in a compassionate yet unsentimental portrait of a man with greasepaint in his blood, lead in his gay pencil and the most tender of hearts.